Well, that’s one of a number of definitions. In any kind of target practice the bullseye comes first. Next you aim and take your shot. Usually it’s regarded as a good thing to hit the bullseye. There’s another kind of bullseye where the order is reversed: the shot is taken first and the bullseye appears second. Not always such a good thing. Case in point: driving down the road a pebble got tossed at my windshield by a car in front of me. It made a small chip in my window surrounded by little cracks. Turns out this kind of damage is called, you guessed it, a bullseye. Here, you don’t hit the target. It hits you! Like I said, not such a good kind of bullseye. I’m not totally sure if the damage to my windshield would best be considered a bullseye or star damage. It may be a hybrid. I think it may be a technical distinction when the damage is so small with each being treated the same way. 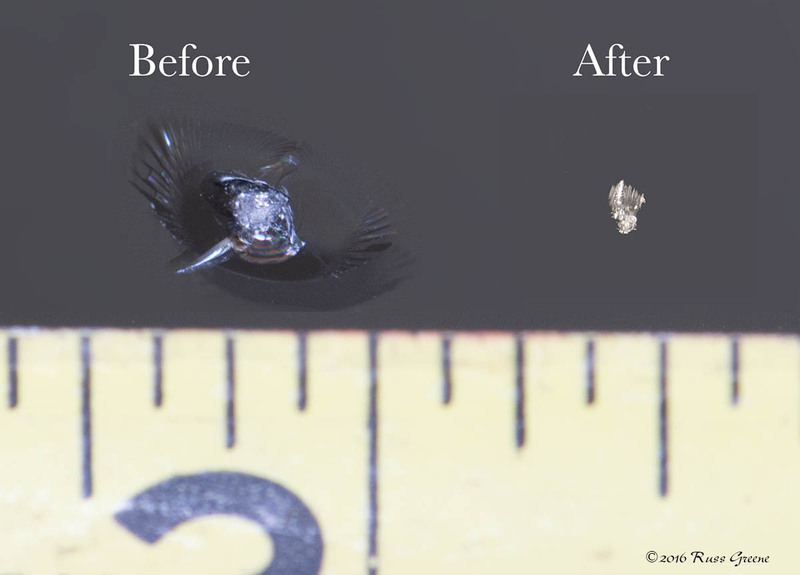 The kind of bullseye you never want to hit–or have hit you–a chip in your windshield. 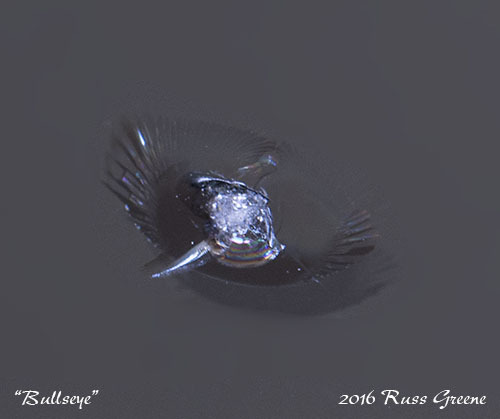 This one was really small, just 1/4″ across. If not attended to promptly, over time little chips and cracks can spread, eventually necessitating windshield replacement. I decided to include this article on my blog not only because of its general utilitarian value but also because a popular destination for RVers is Alaska, a state that is notorious for sending vacationers home with damaged windshields due to the gravel roads and truck traffic in the state. Repairing a bullseye sooner rather than later can potentially prevent the need for some very expensive repairs at a later date. In an effort to minimize the costs that might be associated with this little bullseye in my windshield I did what I often do: I Giggled it. (Regular readers of this blog know that I like to substitute the word Giggled or Goggled for Googled because I think it’s fun.) While Goggling around I learned that the damage might be repairable for relatively little money. Yay! Me loves the web. Turns out there are any number of Do-It-Yourself (DIY) windshield repair kits on the market. Who knew? I spent an hour or so reading user reports and watching YouTube videos before I decided to try repairing my windshield myself. It looked easy enough and I didn’t see how it could worsen the damage so, what did I have to lose? A little time and the cost of the repair kit, something just shy of $15 at a local store. The Permatex kit I bought (YouTube instructional video immediately above) included some resin, a syringe, a circular piece of double-stick tape with a hole in the middle they call an adhesive disc, a special little plastic doohickey called a pedestal, and a little square piece of plastic film called a curing strip, perhaps made of mylar. Instructions are also included. I selected the Permatex kit because it was available locally and because of the instructional video I’d found about it. 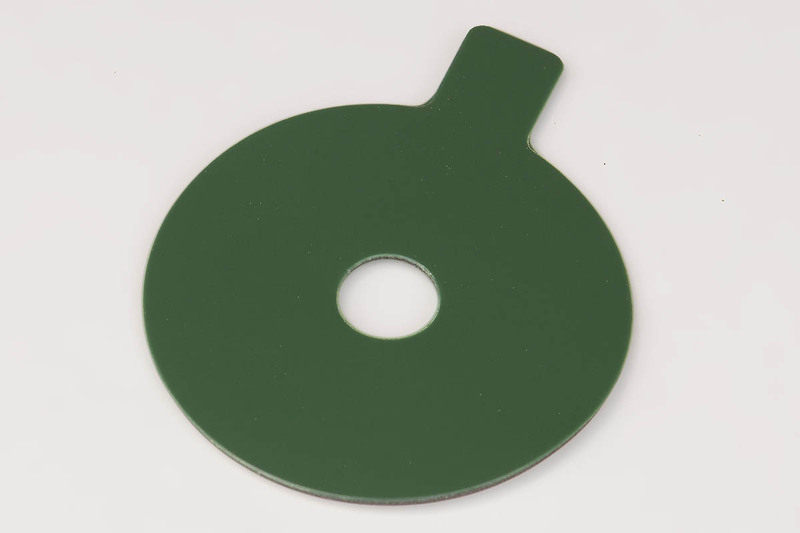 Adhesive disc in the windshield repair disc. The repair process seemed simple enough: clean the damaged area, mask off the bullseye with the adhesive disk, attach the pedestal, pour in some resin, use the syringe to extract air bubbles from the resin and then drive the resin into the damaged area. This is followed by a little external surface touch up with a drop of resin and the curing strip, letting it cure for a little while, then scraping any excess off the windshield with a single edge razor blade. 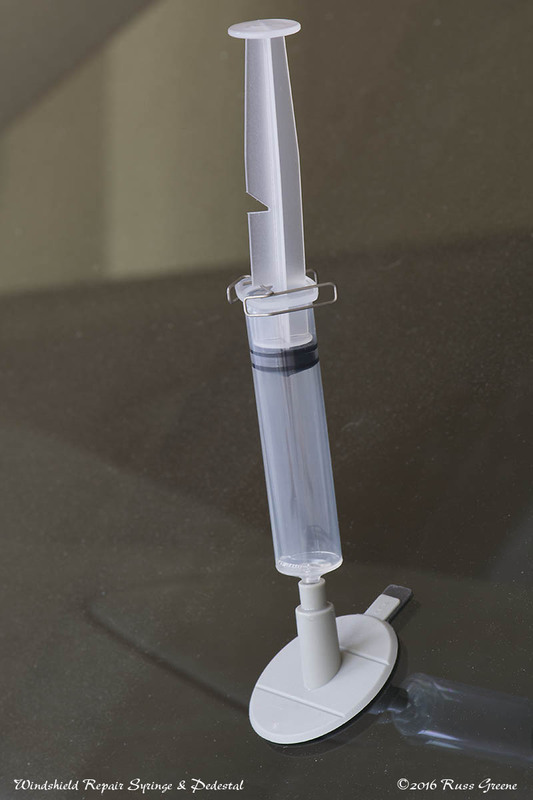 Here the pedestal has been attached to the windshield using the double-stick adhesive disc and the syringe has been inserted into the pedestal. This special syringe has a little metal clip that acts as a locking mechanism with the two notches in the shaft of the plunger. This allows you to create both suction and pressure at the appropriate steps of the repair process. I followed the instructions carefully but things didn’t go quite the way they were supposed to go. During the stages where the syringe is used to first extract air bubbles from the resin then force the resin into the damaged area, a less than perfect seal between the pedestal and adhesive disc allowed air to infiltrate the process. Despite this problem the repair seemed to be completely successful. While the visible cracking that was visible surrounding the bullseye can no longer be seen there is a tiny divot still visible in the windshield. The instructions say this is possible, so I cannot call the repair anything less than successful, at least for now. Time will tell how it holds up. This will give you an idea of the before and after of my windshield repair. The “After” portion may not be exactly to scale. I had to combine two images to make this photo and I wasn’t careful about shooting to scale so I had to approximate. The hashmarks of the ruler are 1/16 inch apart, so you can tell the damage was small, about 1/4″ at the extremes. The repair, while not perfect, made about as big a difference as can be expected and hopefully prevent the damage from progressing. The divot that remains after the repair isn’t nearly as noticeable while in my car as it is in this photo. It’s nice to know that an inexpensive windshield repair kit and a little bit of time may obviate the need for an expensive windshield replacement. If you’re going to Alaska or another place where the chances of having your windshield damaged, having one or two of these kits in your possession might save you from an expensive repair later on.